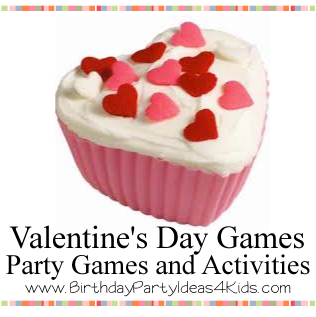 We’ve added a page full of fun Valentine’s Day games and activities to the Birthday Party Ideas 4 Kids website! We even have a Valentine’s Day Scavenger Hunt complete with a list of 30 fun Valentines related items to find … FREE to print out! The first stop you need to make when planning a party … Birthday Party Ideas 4 Kids! Send us your favorite Valentines Day games and we will add them to the website!